Welcome to Day 1006 of our Wisdom-Trek, and thank you for joining me. Wisdom – the final frontier to true knowledge. Welcome to Wisdom-Trek where our mission is to create a legacy of wisdom, to seek out discernment and insights, and to boldly grow where few have chosen to grow before! Hello, my friend, I am Guthrie Chamberlain, your captain on our journey to increase wisdom and create a living legacy. Thank you for joining us today as we explore wisdom on our 2nd millennium of podcasts. This is Day 1006 of our trek, and it is Wisdom Wednesday. Creating a Biblical worldview is important to have a proper perspective on today’s current events. To establish a Biblical worldview, you also have to have a proper understanding of God’s word. Especially in our western cultures, we do not fully understand the Scriptures from the mindset and culture of the authors. 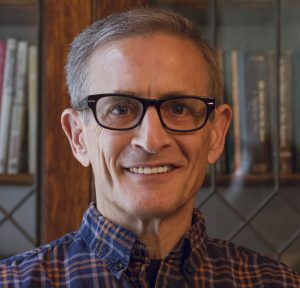 In order to help us all have a better understanding of some of the more obscure passages in God’s Word, we are investing Wisdom Wednesday reviewing a series of essays from one of today’s most prominent Hebrew Scholars Dr. Micheal S. Heiser. He has compiled these essays into a book titled I Dare You Not to Bore Me with the Bible. 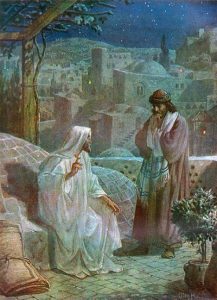 Notice the disciple’s question, “‘Rabbi,’ his disciples asked him, ‘why was this man born blind? Was it because of his own sins or his parents’ sins? 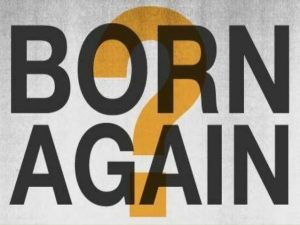 '” Many presume the question indicates that the disciples believed the man born blind really could have sinned before he was born, and that his pre-birth sins caused his congenital blindness. This presumption is followed by another: that Jesus’ answer wasn’t a categorical denial. Since Jesus doesn’t come out and say, “What a silly idea, don’t be ridiculous!” Some have argued that His response means that in this case the man born blind didn’t sin in a previous life, but perhaps that could have happened in another case. Could this interpretation be correct? Reincarnation is the belief that the soul migrates from one body to another, different body in a long (possibly endless) succession. The idea of the “migration of the soul” cannot be found in the Bible or in other Jewish writers of antiquity, which indicates the disciples were likely presuming something different which may have been: People can do good and evil while still in the womb. Paul addresses this misconception in Romans 9:9-13 when dealing with the case of Jacob and Esau. 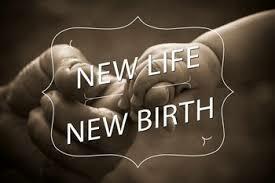 Even if a pre-born person could sin in the womb, this does not involve the migration of a soul. In Matthew [16:13] there where some people who suggested that Jesus was John the Baptist, Elijah, or one of the Old Testament prophets. This verse is also no help to those who want to see reincarnation in John 9:3-4 Jesus and John were contemporaries, born six months apart (Luke 1:8-36); thus, John’s soul could not have migrated into Jesus’ body. Elijah never died (2 Kgs 2:1-17), and so the migration of his soul is also not possible. If Jesus were one of the prophets who had come back to life, then the prophet would be resurrected, not the prophet’s soul in another body. There are other, more technical flaws in this interpretation of John 9, but from this examination alone, it should be apparent that the idea of Jesus approving of one being born again into another physical body is dead…again. That will conclude our essay for this week. 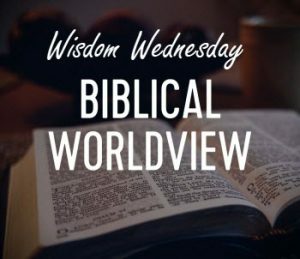 Next Wisdom Wednesday, we will continue in the New Testament as we look at Dr. Heiser’s next essay titled “The Great Wizard Meets Philip and Peter.” I believe you will find this another interesting topic to consider as we build our Biblical worldview. 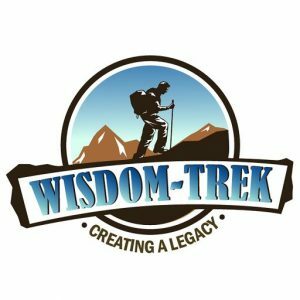 If you would like to listen to any of our past 1005 treks or read the Wisdom Journal, they are available at Wisdom-Trek.com. I encourage you to subscribe to Apple Podcast or Google Podcast so that each day’s trek will be downloaded automatically.